With the biggest star of poker making a limited number of appearances this year and skipping the entire WSOP (World Series of Poker), seeing Phil Ivey appear as the guest star of a promotional event in Beijing was something of a surprise. Somuchpoker was on site to get a feel for the event and ask the star a few questions. The event was arranged purely for promotional purposes, and was organised by Sun Ji Jun, a wealthy Chinese entrepreneur who recently launched his poker application Zhi You. 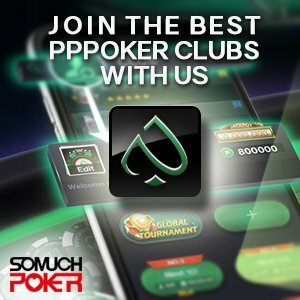 This new app caters to the Chinese market and is intended to compete with the industry giant Tencent poker. Phil Ivey seems to have built a personal relationship with Sun Ji Jun, which explains why he decided to come and support the event. The Chinese poker scene is flourishing, and building a personal network in the country makes sense for Phil Ivey. The American pro was one of the first pros to see the big games in Macau as an opportunity and to focus his energy on this part of the world. The event itself saw Ivey participate in a series of Sit & Gos, challenging a select few fans who mostly won their invitation to the event thanks to the application Zhi You. Phil Ivey didn’t particularly shine during this performance and quickly went back to the rail to greet fans and sign T-shirts. The event also allowed the media to ask some the attending stars some questions. This short sequence was entirely supervised by the event organiser and gave only a little room for improvisation. Phil Ivey shared that it was his first visit to Beijing and that this event was also an opportunity for him to visit the country and that he had a trip to the Great Wall scheduled for the next day. When asked by Somuchpoker about his absence on the live tournament circuit, he said that he was busy with some “personal issues” but that he was definitely still interested in playing live tournaments. The follow up question about which games he is currently playing only received the answer “I cannot comment”. This left the audience with more questions, than answers. One thing is certain however, poker is booming in China with the young elite of the country more and more in love with the game. Big money is flowing into the local poker scene which is augmented by the involvement of the biggest Chinese names on the web, such as Tencent and Alibaba. While these companies are an important driving force behind poker growth in China, the most important fuel for this particular fire is the rich poker enthusiasts spending more and more money playing. It is likely that the true purpose of Ivey’s trip to Beijing is to try to build the foundations of his future in this new promising poker world.